HerpMapper is a 501(c)(3) nonprofit organization designed to gather and share information about reptile and amphibian observations across the planet. Using HerpMapper, you can create records of your herp observations and keep them all in one place. In turn, your data is made available to HerpMapper Partners – groups who use your recorded observations for research, conservation, and preservation purposes. Your observations can make valuable contributions on the behalf of amphibians and reptiles. Who can see the records you create? There are two levels of visibility for records. Only you and HerpMapper Partners have access to all data in a record. Other users of HerpMapper and the general public can only see very basic information in your records – they do not have access to exact locality data. Any pictures attached to a record can be seen by everyone, which means you can also see the cool herps being recorded by other people from around the world. Who are the HerpMapper Partners? For the most part, they are biologists working for state or regional agencies, university researchers, or conservation organizations. A list of HerpMapper Partners is maintained on the HerpMapper website. For more information, also see our F.A.Q. pages, checkout our flyers (English, Spanish, German, Chinese), and checkout our Poster. Mike (@SoMuchPingle) is an IT project management professional working at the National Center for Supercomputing Applications at the University of Illinois. Mike is also a life-long herper who has traveled all over the world, and has recently started leading herping tours to Peru. Mike documents many of his adventures on www.pingleton.com. Mike has the bragging rights of having the first herp related website on the internet which he launched in 1994, and has also authored several herp related books, including childrens' books. Mike is pivotal to keeping HerpMapper organized and running efficiently. 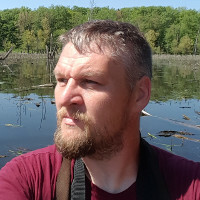 Mike also brings his decades of herping experience and connections to help make HerpMapper a success. Chris (@FieldEcology) is a professional wildlife biologist by day, with a bachelor's degree in wildlife management and a master's degree in conservation biology - both from the University of Minnesota. Chris is also certified by The Wildlife Society as an Certified Wildlife Biologist. His work generally focuses on amphibian, reptiles, and terrestrial invertebrate conservation and research at a variety of spatial scales. In addition to his professional work, Chris is an avid "field herper" as well as a citizen-science advocate. Chris volunteers his time to a variety of conservation-focused organizations, and currently sits on the Board of Directors for The Center for North American Herpetology (CNAH), and is an active Midwest Partners in Amphibian and Reptile Conservation (MW PARC) and Minnesota Herpetological Society (MHS) organization member. In his 'spare' time Chris helps administer the HerpMapper project, and is the Project's social media lead. If you have not already done so, be sure to checkout HerpMapper's Facebook page, and be sure to follow @HerpMapper and @WhatTheHerp. Dan is an instructor at Southeast Community College in Lincoln, Nebraska. 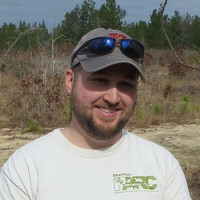 Dan's research focuses on rattlesnake spatial ecology and conservation. Kevin Messenger is an associate professor in the department of zoology at Nanjing Forestry University. His research interests include Asian and southeastern US herpetology, ethology, natural history, and conservation ecology. Kevin is a co-coordinator for the IUCN Viper Specialists Group, East Asia Region. 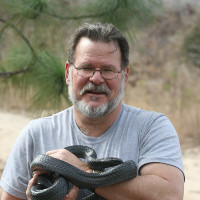 His most recent and current work revolves around pigmy rattlesnakes (Sistrurus miliarius), keelback snakes (Rhabdophis), and Asian horned frogs (Megophrys). Stephen is the Director of Wildlife Ecology at The Wilds. Stephen is involved in hellbender conservation efforts, currently serves as the Deputy Chair of the IUCN Viper Specialist Group, and has several projects related to amphibian and reptile conservation in eastern Ohio. Scott is an Australian herpetological consultant working mainly in venomous snake management and targeted fauna surveys. A keen photographer and herper, he is often out in the field enjoying the natural world. He has authored two books and a number of articles on Australian herpetofauna.